When the Mitsubishi Eclipse was first introduced in 1989, it instantly became it a hit thanks to its 2.0L turbo engine and available AWD. Over the years though, the sporty coupe became slower and heavier until it was discontinued in 2012. Now for 2018 though, it’s back and it…. well it’s not how all of us remember it. 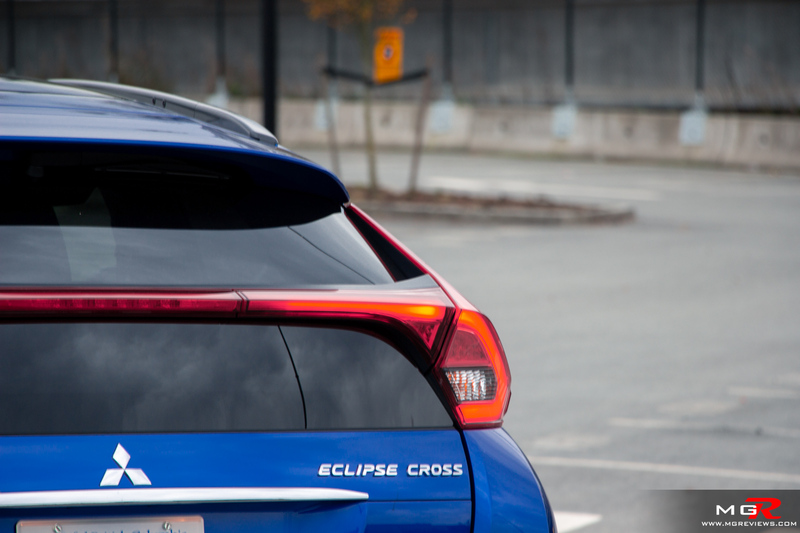 Mitsubishi, for some reason or another, decided it was a good idea to put the Eclipse name on an SUV and call it the Eclipse Cross. This move enraged a lot of fans of the old Eclipse. 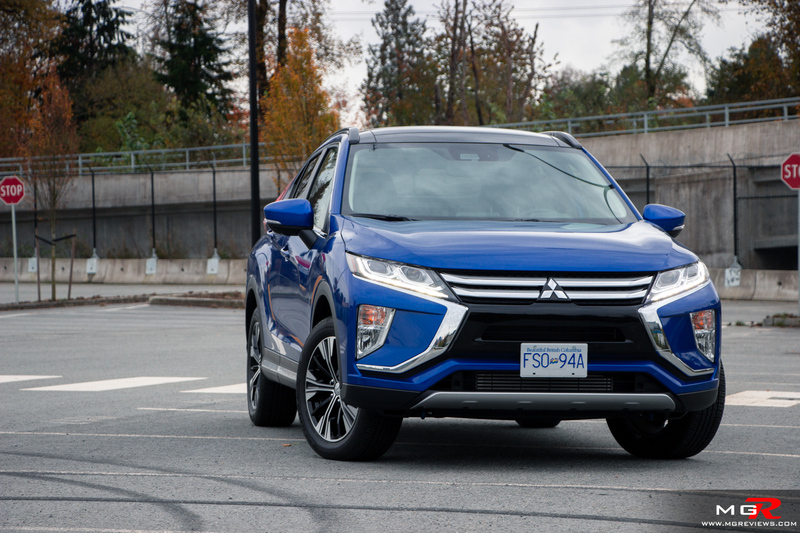 So does this new Mitsubishi Eclipse Cross share any sporty characteristics with its “predecessor” or is this just a marketing ploy? 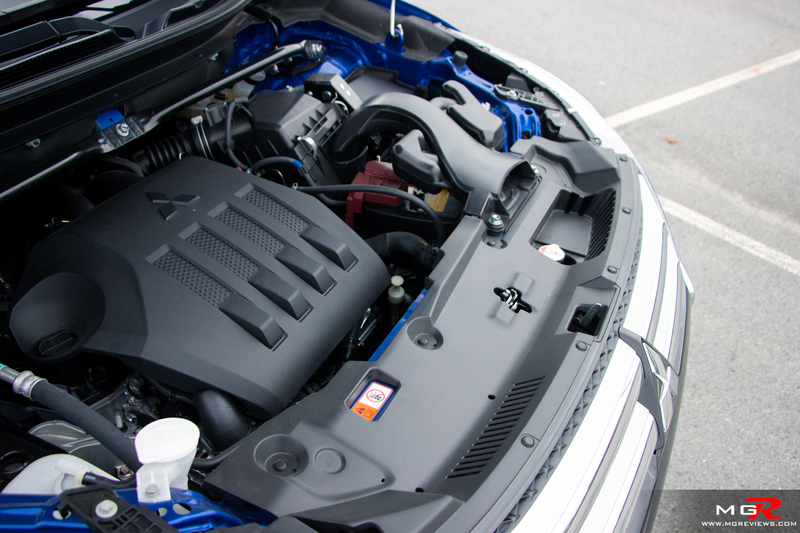 Engine – The only engine available with the Eclipse Cross is a 1.5L turbocharged inline-4 that produces 152hp and 184 lb-ft of torque. While the figures on paper are not that high, in reality the little engine that could pulls a bit better than one would expect. It doesn’t feel laggy and torque is in the usable rpm range. It’s also a decently economical engine with city fuel economy figures of 9.6 L/100km and highway of 8.9 L/100km. I managed an average of 9.7 L/100km in approximately 90% city driving. 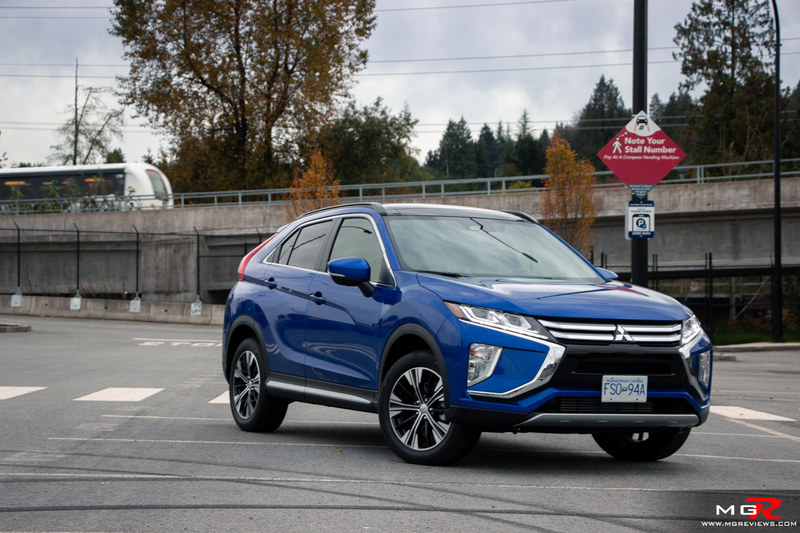 Transmission – A Continuously Variable Transmission (CVT) is the only option available for the Eclipse Cross. 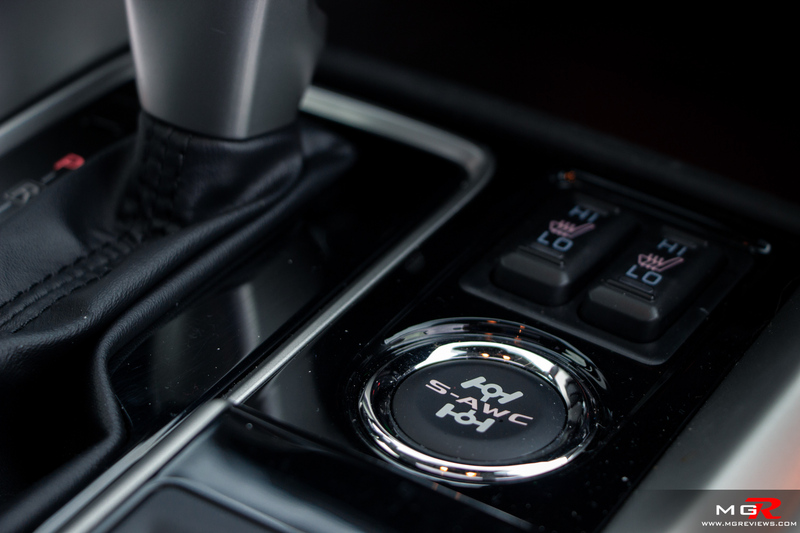 When it’s in normal Auto mode, it behaves like any other CVT transmission. It keeps the rpms as low as possible when cruising and it holds the revs at a constant when accelerating. 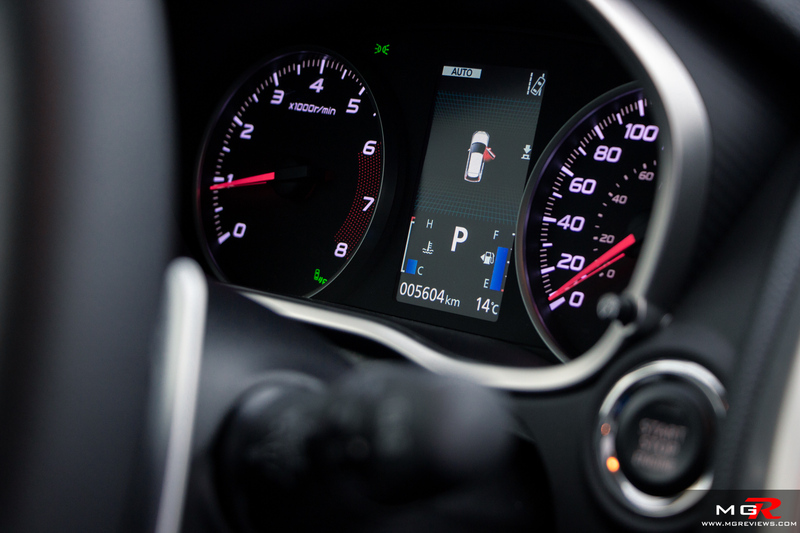 It does have a Sport mode with 8 virtual gears however under moderate acceleration in this mode, the transmission barely drops the rpms with each shift. You have to stab at the throttle hard and let the engine rev to the redline to notice the 8 virtual gears. 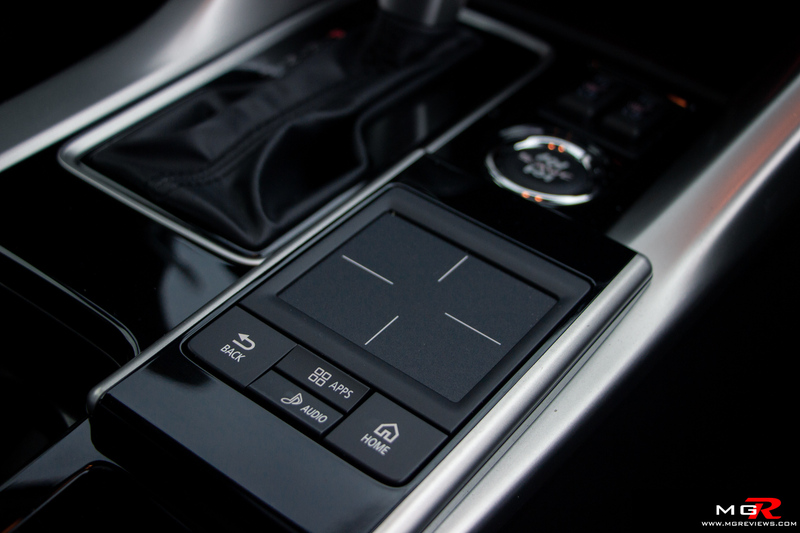 But regardless, the transmission is slow to react to driver inputs whether it be through the paddles or pressing hard on the throttle pedal. 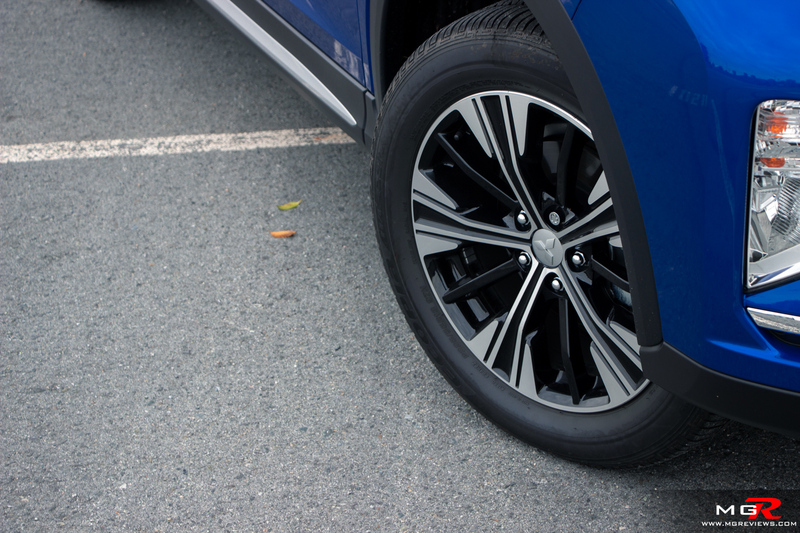 Braking – The brakes have no problem stopping the Mitsubishi Eclipse Cross. The pedal feels firm under heavy braking but can easily be modulated for smooth deceleration under normal conditions. 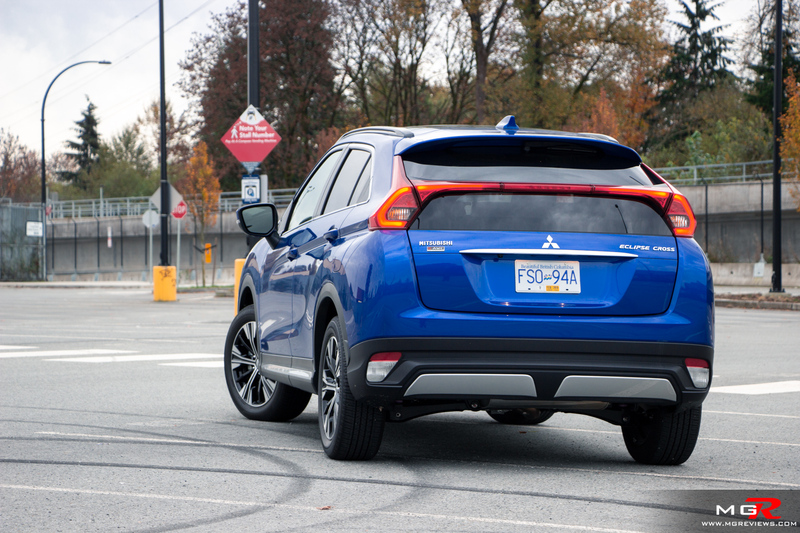 Handling – Mitsubishi vehicles, in the past, have been known for sporty and agile handling characteristics. Currently Mitsubishi is trying to still portray that in their marketing commercials but in reality the Eclipse Cross feels anything but sporty. The suspension is too soft which causes the body to lean through corners making it unnerving to the driver. The steering feel and response too is better suited for navigating city streets rather than twisty mountain roads. 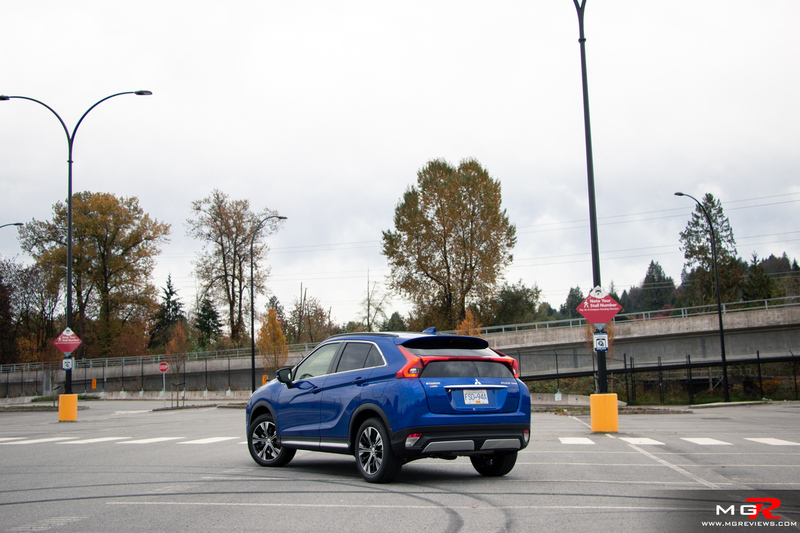 Ride Comfort – With the aforementioned soft suspension tuning, the Eclipse Cross provides a comfortable ride in a city environment. 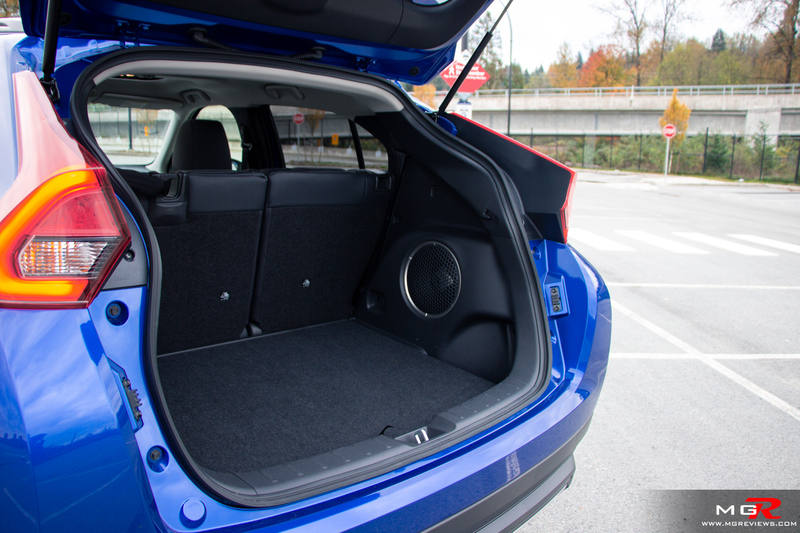 Bumps are absorbed and the suspension doesn’t translate the jolts into the cabin. Adding to the comfort are the seats. They have soft padding and can be adjusted to fit just about anyone’s height. 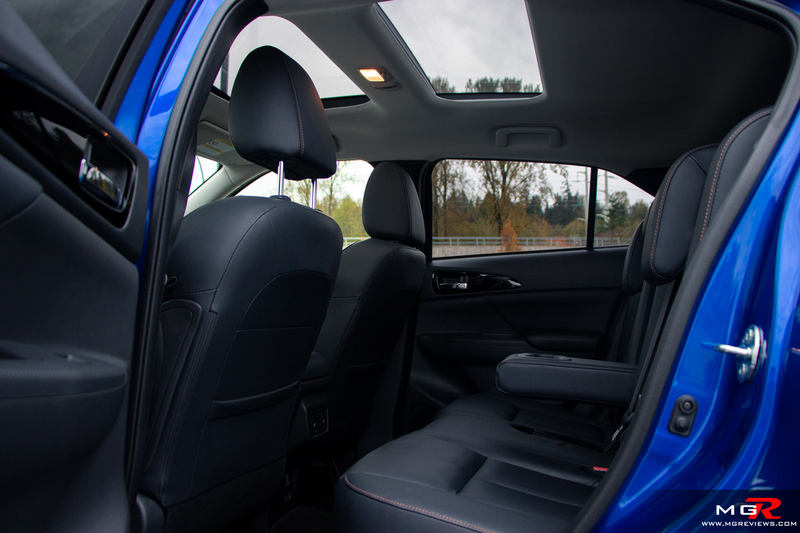 The rear seats are also just as comfortable and offer reclining and sliding for either more storage space or more rear seat space for occupants. 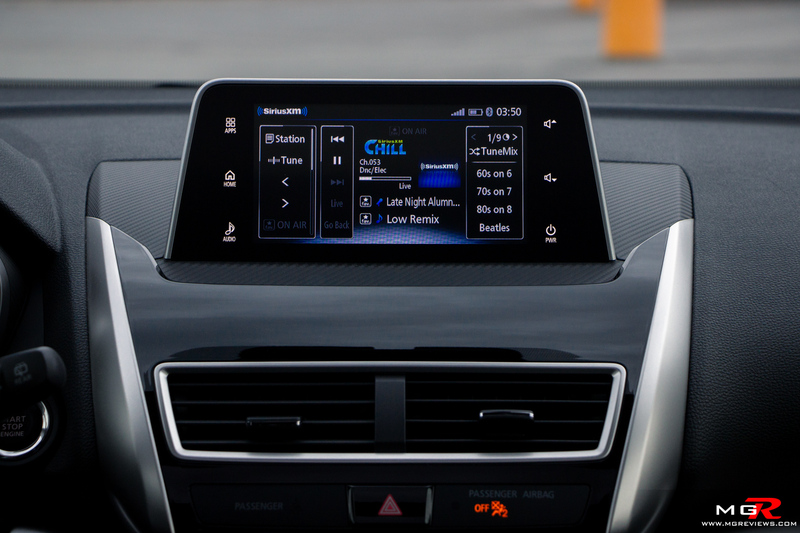 Noise, Vibration, & Harshness – For the most part, the interior of the Eclipse Cross is well insulated. Road and wind noise are minimal in the city and are tolerable on a highway. However, there are a few odd squeaks and rattles. 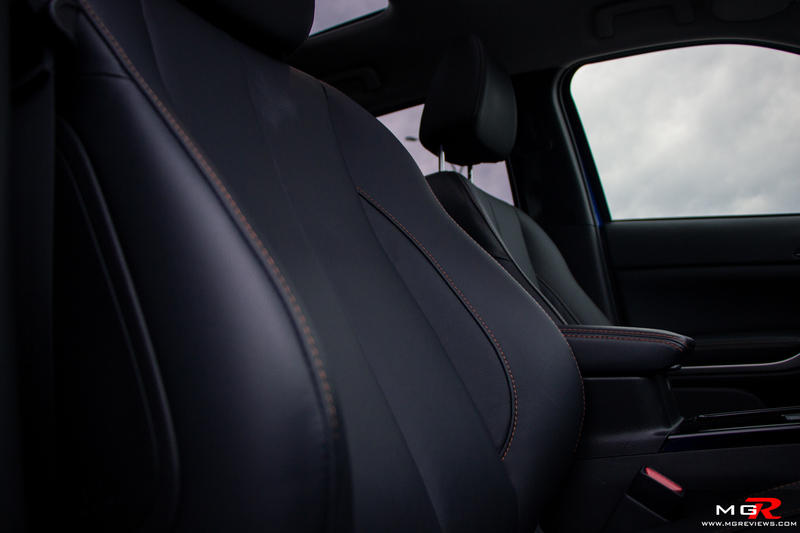 Most noticeable in this particular demo, are the leather surfaces of the rear split folding seats rubbing against each other where they split. Also the gloss black trim around the steering wheel squeaks depending on how hard and where your grip the wheel. So, not quite Honda quality but much better than previous Mitsubishi models. Interior Design – The interior is a blend of old and new. 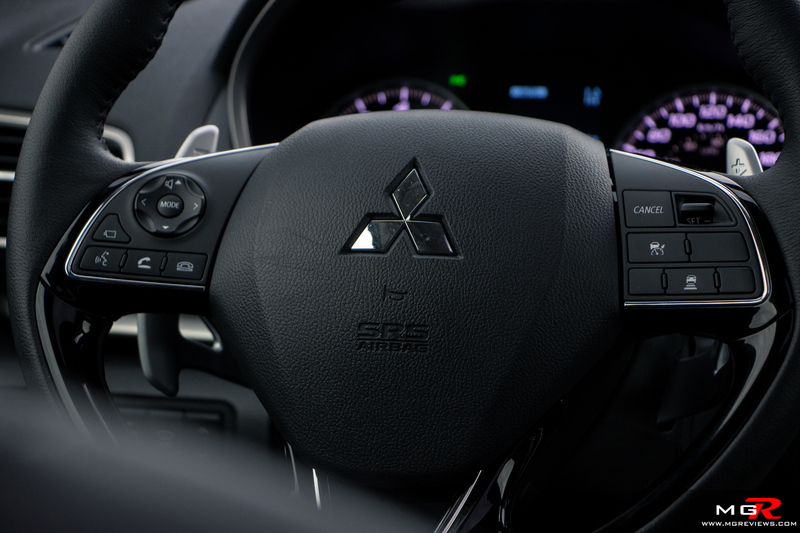 Some of the switches and buttons are from older Mitsubishi models while the new infotainment screen looks crisp and new. Everything is laid out in a thoughtful location and is where it should be. 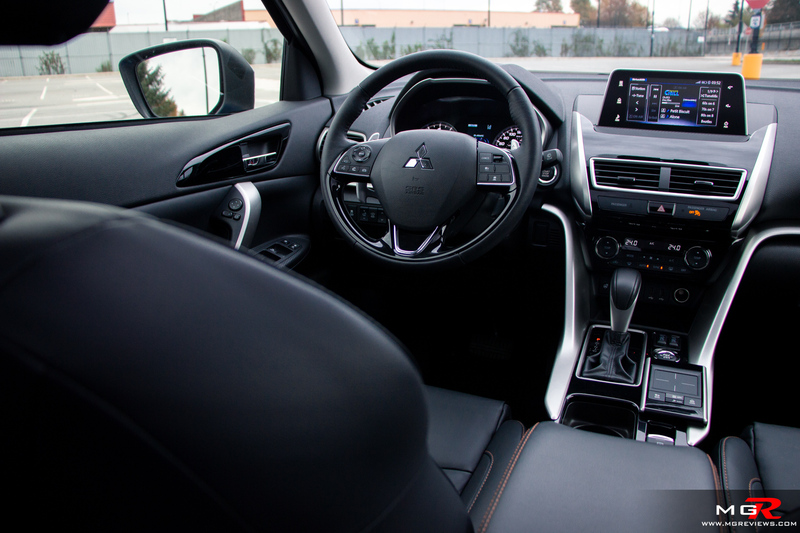 Gadgets – The standard ES trim starting at $28,000 CAD comes fairly well equipped with heated front seats, climate control, and Android Auto & Apple CarPlay. This top GT trim has everything one would need like a heads-up display, panoramic sunroof, a host of safety features, and a 710-watt Rockford Fosgate audio system to name a few. Pricing for the GT though starts at $36,000 CAD. Exterior Design – I’ll just come out and say it. From the back and in side profile, it looks like a Pontiac Aztek. I just can’t get that vision out of my head. From The front, it looks masculin with the chrome grille and angular features. But the rest just reminds me of what’s arguably, the worst car in recent times. 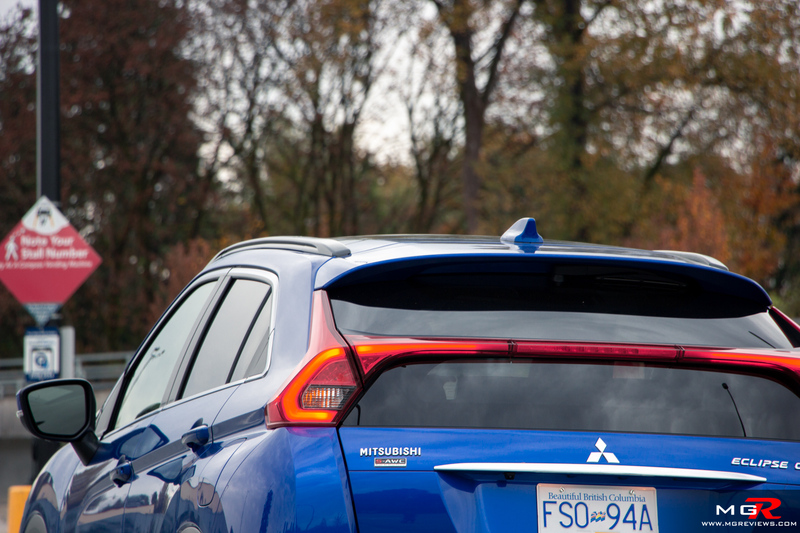 That center rear brake light hampers not only on rear visibility but also trunk space due to the angled top window. Overall I was pleasantly surprised with the Eclipse Cross. No, it’s not a sporty crossover by any means and it is not a predecessor to the old Eclipse in any way. But it is a fairly good and comfortable city SUV. 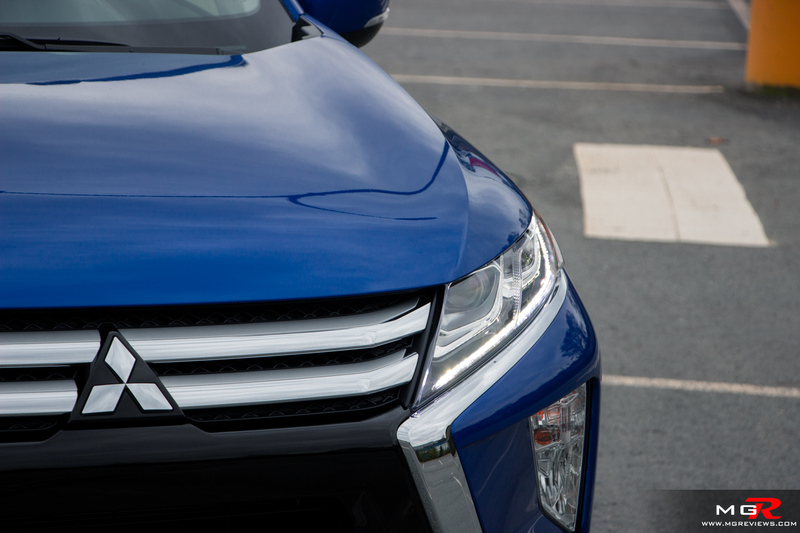 Plus the Eclipse Cross has an ace up its sleeve. 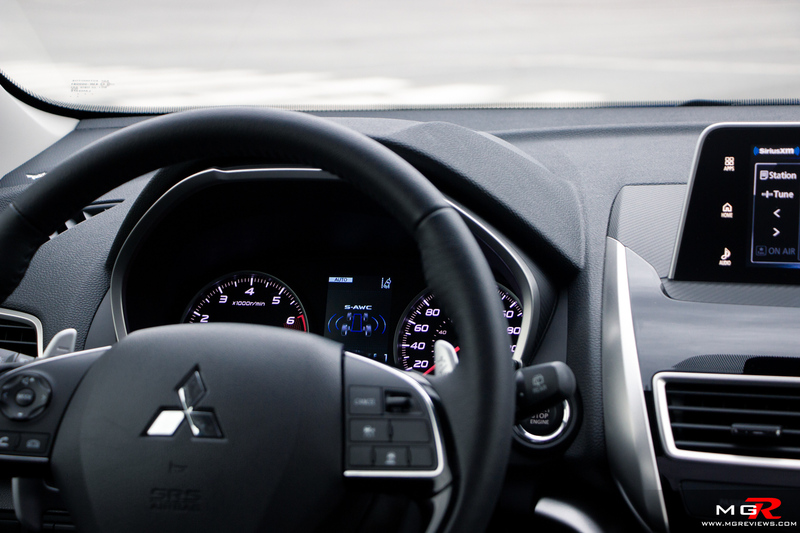 Mitsubishi’s 10 year/160,000km powertrain warranty. 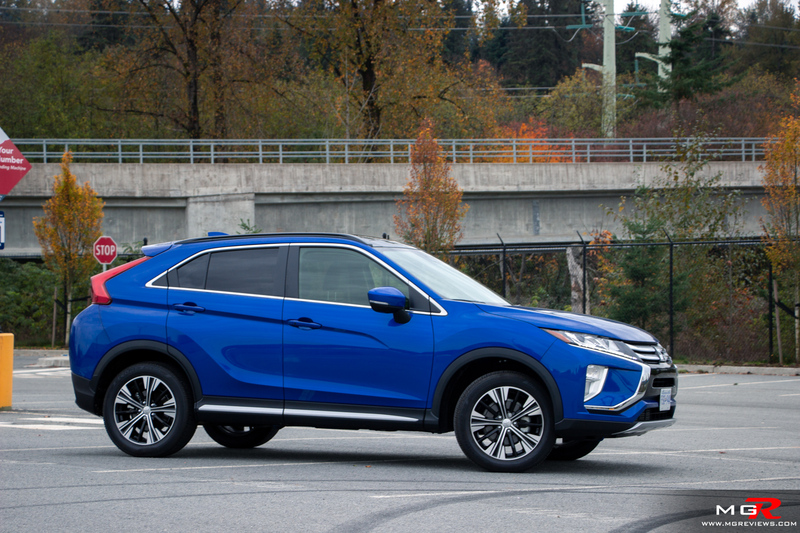 Personally though, I’d still pick the Honda CR-V if it was my money but for those who want comfortable and worry-free motoring for the next decade, the Mitsubishi Eclipse Cross is worth considering.